Last week the world celebrated the 10th year of MGMT’s Oracular Spectacular. 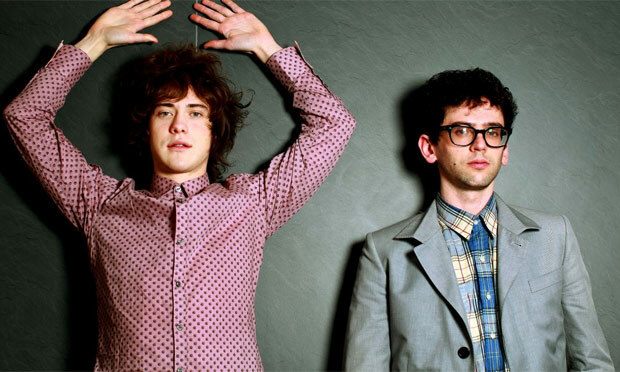 (Almost) straight out of Wes graduation, Andrew VanWyngarden ’05 and Ben Goldwasser ’05 hooked us Kids—you know The Youth—up with Pieces of What we needed for a real, nice Electric Feel. As a freshman living in “The Triple” (whattup WestCo 2) aka the room where MGMT was tenderly conceived, I decided to look back through some Wesleying archives and see what Wes was like in 2007 when Oracular Spectacular hit the scene. I discovered that while I was merely a wholesome 8 year old, the Princeton Review ranked Wes #15 in the category of “Students [Who] Ignore God on a Regular Basis” as well as #13 for Birkenstock-Wearing, Tree-Hugging, Clove-Smoking Vegetarians.” Nice. The announcement of the iPhone by Steve Jobs. Rihanna blessed us with Umbrella-ella-ella. People still liked Tiger Woods…? The Twilight saga was relevant. Apparently George Clooney was injured in a motorcycle accident in Weehawken, New Jersey. The Kardashians™ established their reign. So yeah. All of that happened in 2007. Any future predictions for 2027? Any Future Reflections? Thank you Wes alums for doing cool things like making awesome music. Keep it up friends. Posted by Avery Rose in Featured and tagged mgmt, never look backular tentacular spectacular shellacqular oracular, oracles, shellacqular spetacualar tentacular oracular, spectacles, spectacular oracular, tentacular spectacular oracular, things on October 10, 2017 at 9:00 AM.